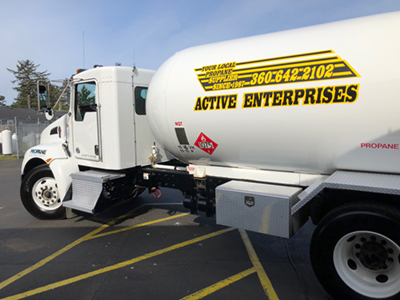 To you, good service may mean a full L.P. tank at all times, a driver who is willing to make deliveries after hours, or a courteous voice on the phone. To us that's just a normal day at the office. We have several delivery routes to service our customers propane needs. We can deliver to your home or business whether its one tank or many. We also have delivery available for your smaller tanks such as bbqs and RV'S. We have been delivering propane since 1966. Since that time we have grown to service all of Pacific, Wahkiakum Counties and the north Oregon coast. If you would like to start enjoying the benefits of using propane please call or email us today.